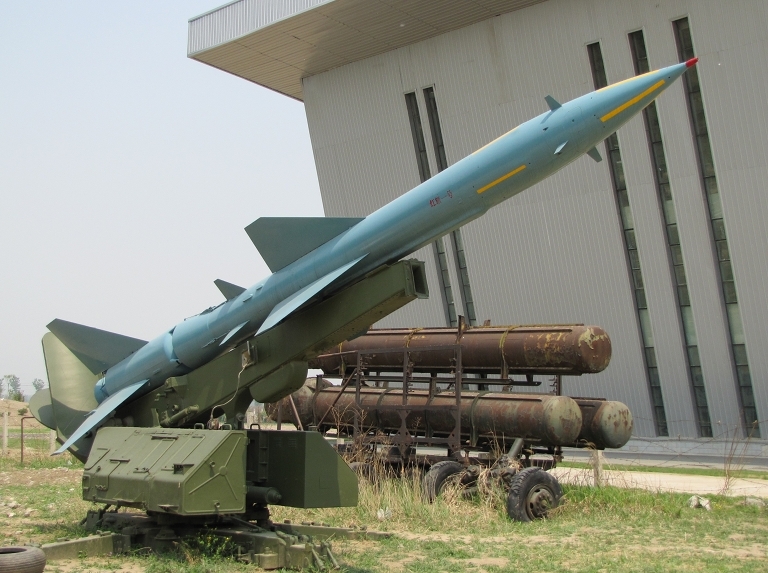 The 2007/2008 period saw an important incremental improvement in what is already a formidable air defence capability, as the PLA deployed four battalions of the S-300PMU-2 / SA-20 Gargoyle high mobility long range SAM system. This is another step in China's long march since the end of the Cold War, to deploy a modern multi-layered Integrated Air Defence System (IADS). 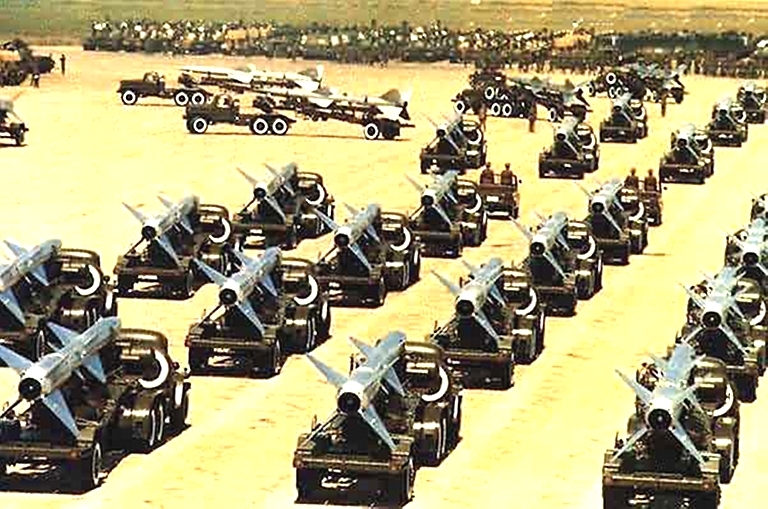 When the Soviet Union collapsed in 1991, China's air defence capabilities were of debatable effectiveness, built around indigenous clones of the Soviet S-75 Dvina / SA-2 Guideline, and indigenous fighter aircraft such as the Chengdu J-8 Finback, in addition to vast numbers of 1950s and 1960s technology J-6 Farmer and J-7 Fishbed fighters. Radar capabilities centred on cloned 1950s Soviet equipment, some pre-Tienamen Western imports, and a stalled indigenous AEW&C program centred on a turboprop engined Tu-4 Bull / B-29 Superfortress airframe. Much has changed over the following decade and a half. 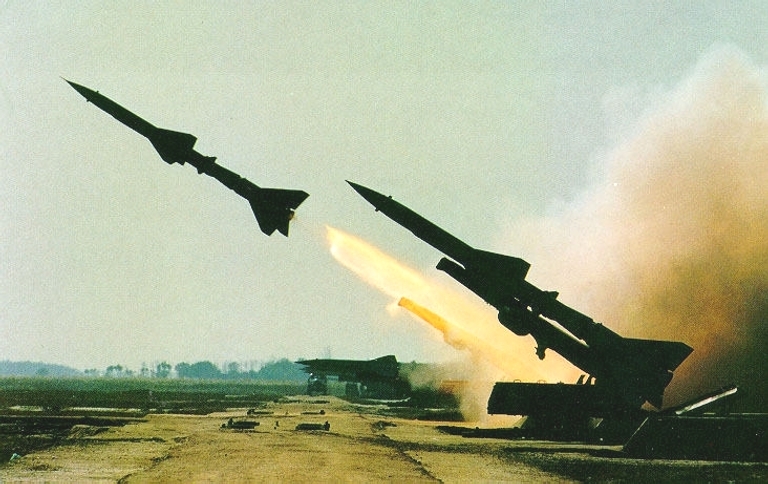 While the SA-2 remains numerically significant, it has been modernised. Patriot class S-300PMU / SA-10 / SA-20 Grumble / Gargoyle long range SAMs have been acquired in strategically significant numbers. The Tor M1 / SA-15 has been reported, and a range of indigenous short to medium range SAMs have been developed. The KJ-200 / Y-8 and KJ-2000 / A-50 AEW&C programs are well into advanced development, and strategically significant numbers of the Su-27SK / J-11 and Su-30MK have been deployed, while the indigenous “Sinocanard” J-10 fighter has achieved Initial Operational Capability. The PLA's air defence capabilities are transforming from a legacy force with static and undeployable systems, to a state of the art force, which is highly deployable in country, and demonstrably expeditionary as it matures. This evolution in capabilities has been sufficient to elicit alarm in many US analysts, recognising that legacy fighters such as the F-15C/E and F/A-18C-F have very poor odds of surviving if they need to penetrate the emerging PLA IADS. Following past practice, China is aggressively marketing their current SAMs in the export market, these including the HQ-9 and HQ-12. There are speculative reports that Iran is to procure the HQ-9, following reports that numerous HQ-2 batteries were procured. The FD-2000/HQ-9 was developed to provide a long range SAM capability, distinct from the medium range capabilities of the HQ-12/KS-1 series. The FT-2000 is a derivative which is fitted with an anti-radiation seeker and intended for engagements against AEW&C/AWACS and stand-off jamming aircraft. The US DoD puts current deployments at 64 launchers, making for 8 to 16 batteries. The PLA have not been overly generous in disclosing details of this design. 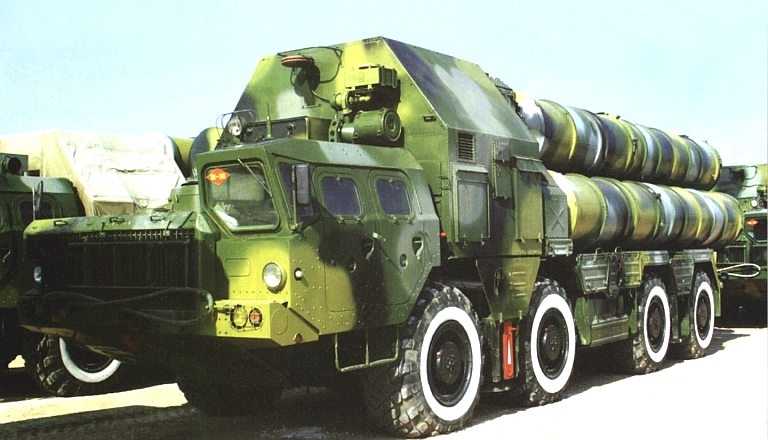 There is general agreement in open sources that the HQ-9 uses Russian S-300PMU technology extensively, including the cold launch design for vertical ejection from launcher tubes on TELs, 5V55/48N6 rocket motor technology, and a range of other S-300PMU components, including an 8 x 8 four tube TEL modelled on the 5P85SU/DU series. Some sources claim the weapon uses a two stage arrangement akin to the S-300V, imagery shows these claims to be incorrect. Slant range performance figures also vary across sources, between 50 and 100 nautical miles. What data is available suggests a missile which is similar in capability to early variants of the MIM-104 Patriot and SA-10B 48N6E, including Track via Missile (TVM) guidance. 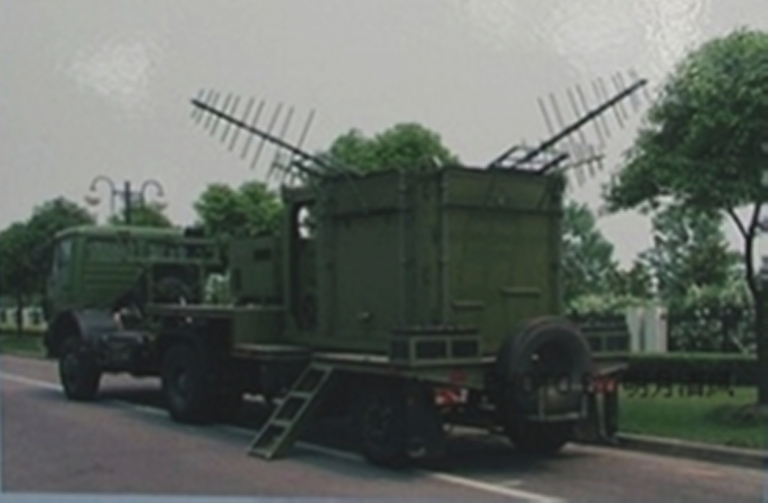 The HQ-9 is supported by the HT-233 phased array engagement radar, like the H-200 modelled on the MPQ-53 and 30N6E designs, carried on an Taian TAS5380 8 x 8 high mobility vehicle, or common to the HQ-9 TEL and similar in design to the S-400's BAZ-6900 series vehicle. Chinese sources claim C-band operation with 300 MHz receiver/antenna bandwidth, detection range of 65 nautical miles, and monopulse angle tracking to resist jamming. Recently disclosed imagery shows the use of the self-propelled YLC-2V as the battery acquisition radar component. The designation FD-2000 is for export configurations of the HQ-9. Recent reports claim the missile combines midcourse inertial / datalink and terminal active radar homing guidance. Cited battery composition is one variant of the YLC-2V acquisition radar, one HT-233 engagement radar, 8 x Taian TAS-5380 TELs, with 32 ready rounds, one vehicle for battery positioning, one generator vehicle, one support vehicle and a mobile command post. A HQ-9 brigade level formation comprises six batteries. The HHQ-9 is the navalised variant of the HQ-9, launched from a VLS system, on the Type 052B/C Luhai II class DDG. According the US DoD, the FT-2000 has yet to be deployed, as is the case with the follow-on HQ-9 variants. 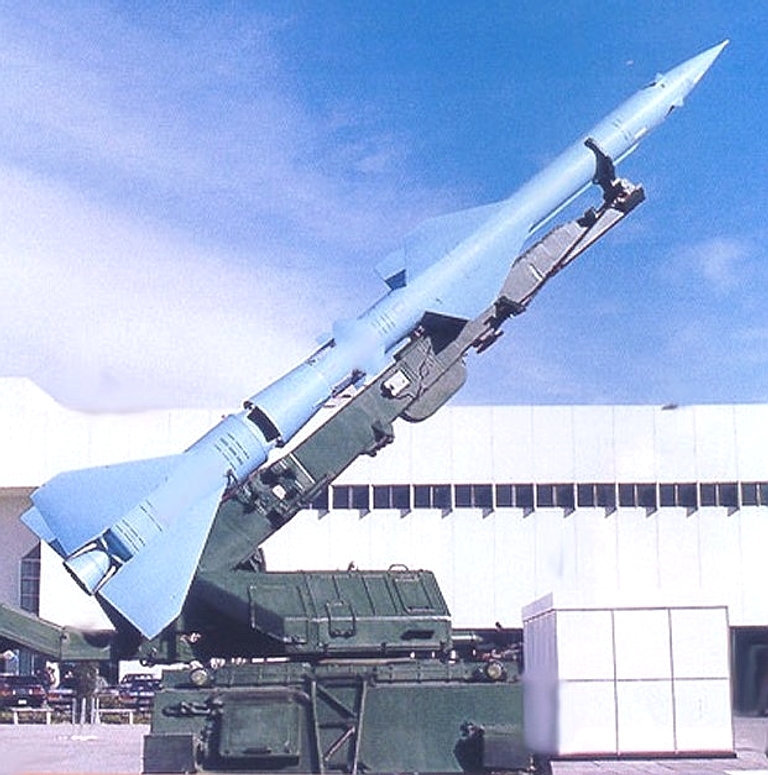 Open sources describe the FT2000 as an inertially guided SAM with an anti-radiation terminal seeker, programmed before launch for the characteristics of the intended target. Cited frequency coverage is 2-18 GHz. Each battery includes four ESM vehicles, used to generate targeting data for the missile battery. Intended targets including support jamming aircraft, aircraft equipped with self-protection jammers, and other radiating airborne targets, e.g. AWACS/AEW&C. Deployed HQ-9 battery. Above, self propelled YLC-2V to the left with its three support vehicles, in the background a HT-233 battery engagement radar. Below, transloader in the foreground, HT-233 to the right. The transloader is based on the same variant of the 8 x 8 Taian TAS-5380 chassis (via Chinese Internet). Production HT-233 PESA engagement radar on the 10 x 10 Taian TAS-5380 series chassis (© 2009, Bradley Huang). 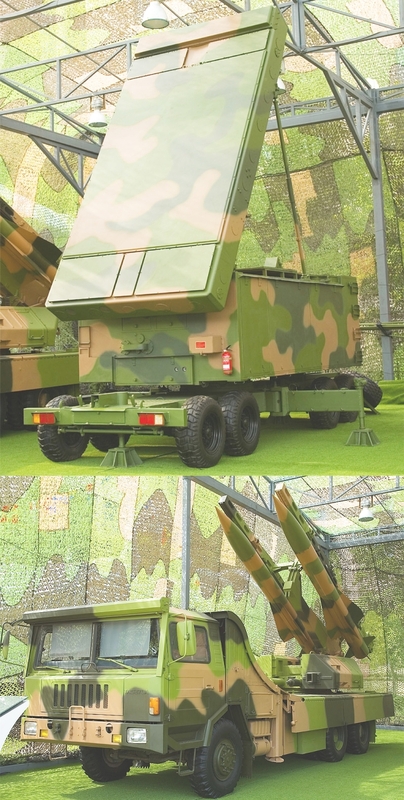 Display mockup of a PLA SAM resembling the SA-11 Gadfly (Chinese internet). Very little has been disclosed to date on the HQ-16 SAM system. Most sources describe it to be a joint PLA-Russian evolution of the SA-11 Gadfly or SA-17 Grizzly medium range semi-active radar homing SAM. The PLA-N deployed the VLS 9K37/9M317M Yozh / SA-N-12 Grizzly on the Type 956EM Sovremmeniy class DDGs under the designation HHQ-16. More recent imagery of a SAM mockup suggests the HQ-16 is a licenced derivative of the baseline 9M38 Gadfly missile using the long chord short span cruciform strake design, rather than the 9M317 series missile airframe. This is consistent with the Russian practice of licencing the PLA for the production of equipment variants no longer built for Russian use. Imagery of a six round TEL on a 6 x 6 chassis has also emerged, the cold launch vertical ejection tubes being of suitable size for such a SAM. Given the use of this technology in the 9K37 naval variant, adaptation for a wheeled TEL would not be difficult. Russian tracked and wheeled TELARs for the SA-11/17 missile systems incorporate either an X-band MSA or PESA engagement radar with an FMCW illuminator capability for the semi-active homing missile seeker. Neither of the PLA TELs have such a facility, suggesting the engagement radar is on a dedicated vehicle. It is not known what engagement and search radars are intended for use with the HQ-16. These would likely be carried on the same 6 x 6 chassis used for the missile TELs. Missile kinematic performance is likely to be similar to late model SA-11 rounds. Images claimed to be of a six round HQ-16 VLS TEL. 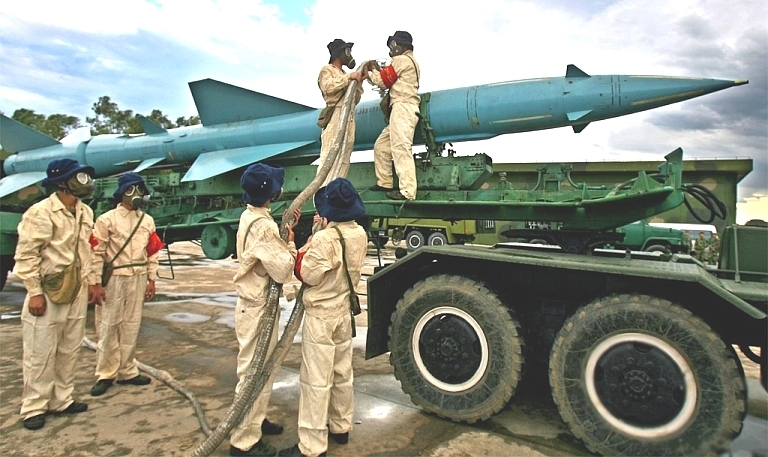 The frame structure for the launch tubes is cumbersome and would not permit a rapid reload capability unless all six rounds are replenished in a single operation (Chinese internet). H-200 engagement radar and KS-1A TEL. 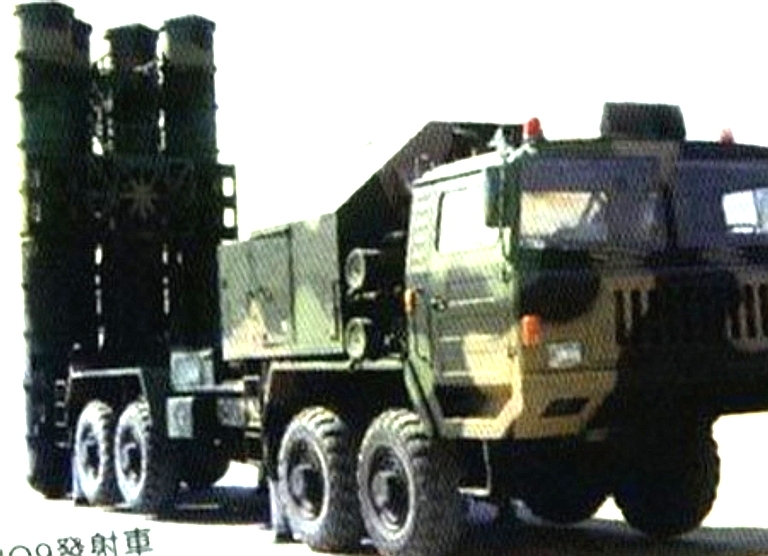 China's indigenous HQ-12 / KS-1A best compares in capabilities to the US RIM-66 SM-1/SM-2 Standard SAMs. 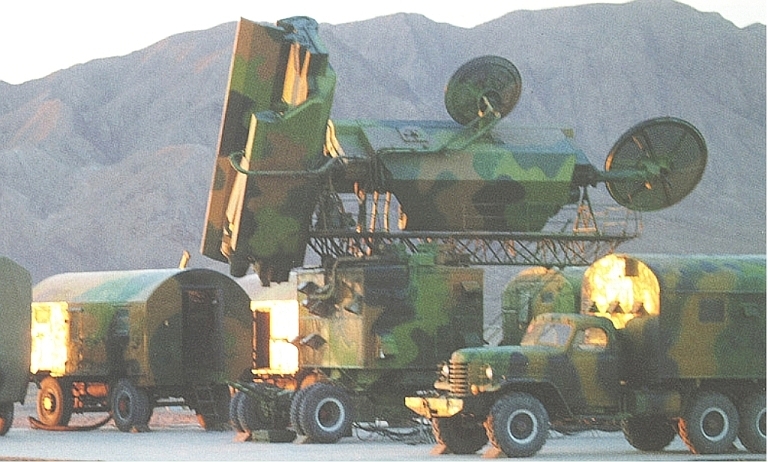 The H-200 phased array engagement radar is available in semi-mobile configuration (depicted) or a fully mobile arrangement resembling the Russian 30N6. Static launchers are also available. The indigenous HQ-12 is now being deployed with PLA air defence units, and the US DoD puts the number of fielded launchers at 60 units. Developed to replace the HQ-2, the HQ-12 has been observed in a number of variants, these including static rail launchers clearly derived from the HQ-2 design, a 6x6 road mobile TEL also derived from the HQ-2 launcher, and a road mobile Patriot like box launcher. The single stage solid propellant KS-1A missile itself compares best to the RIM-66 SM-1/2 in general layout, but with a very short span delta wing design more akin the the US Hawk. 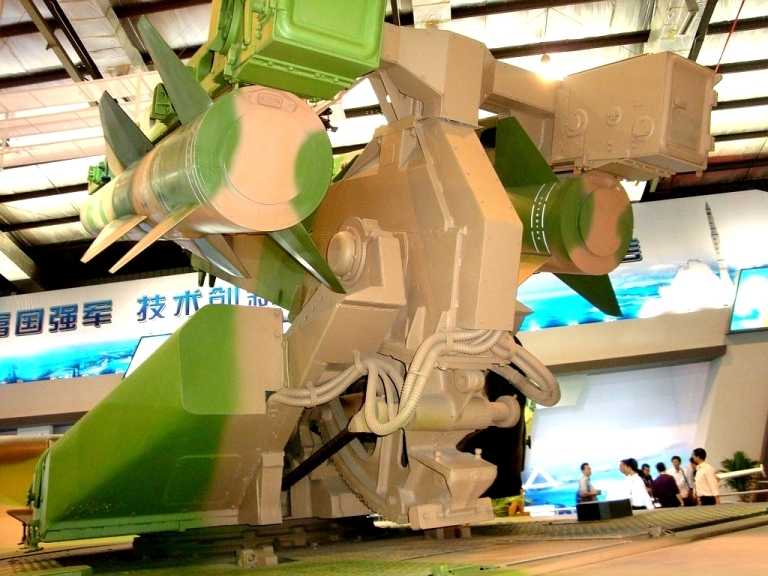 The rail launchers are conceptually similar to the underslung SM-1 rail launcher. Missile performance is cited at a maximum range of 27 nautical miles, maximum altitude of 80 kft, and a maximum load factor of 20G with capability against 4-5 G targets. 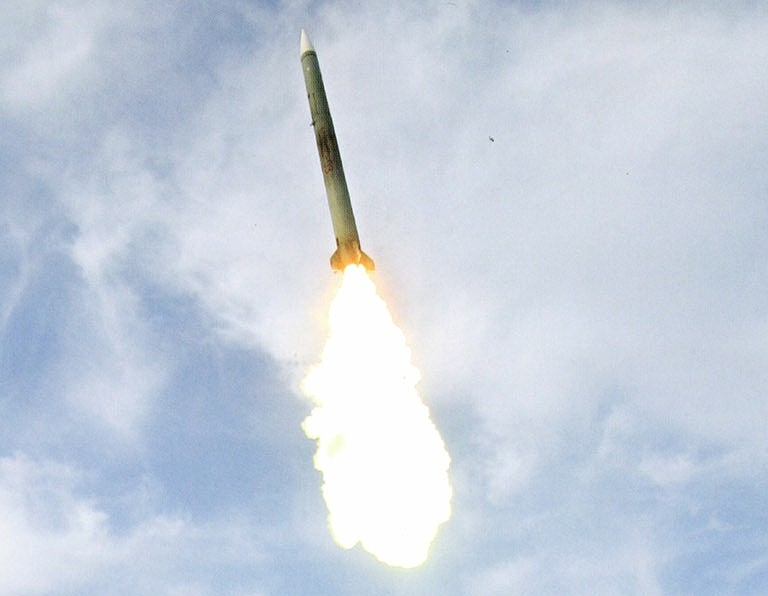 The nearest equivalent US missile is the RIM-66 SM-1 and SM-2 series, the KS-1 falls between the SM-1 and SM-2 in performance, and it is about 20 percent larger and 40 percent heavier at launch. 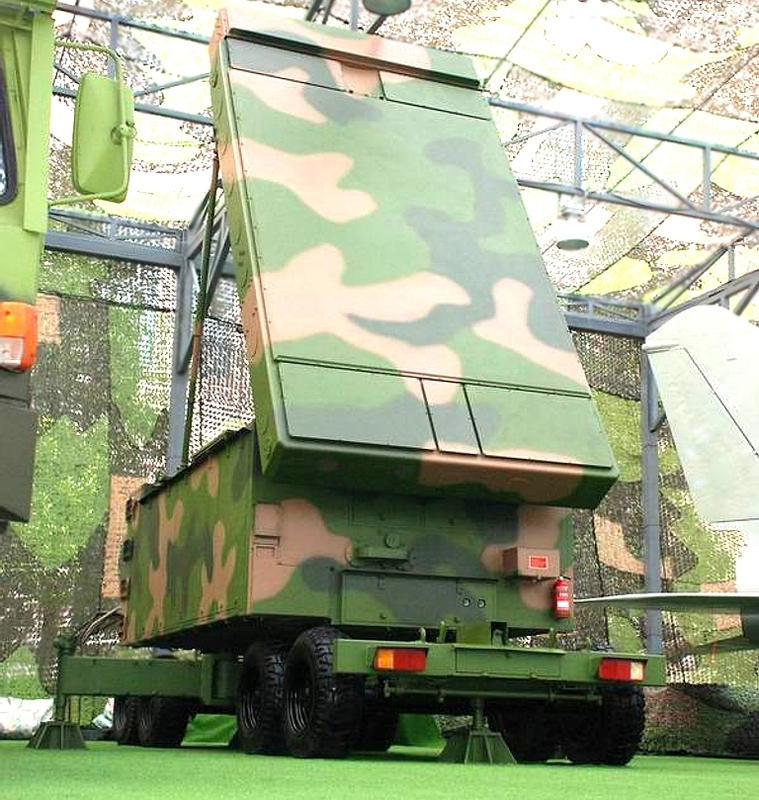 Chinese sources claim early KS-1 variants used the HQ-2 radar package, but since then the H-200 phased array engagement radar has been disclosed as the primary radar component of the KS-1A system. This phased array compares closely in configuration to the US MPQ-53 Patriot and Russian 30N6E series engagement radars, and is available either as a static relocatable installation, or a fully road mobile design on a 6x6 truck. 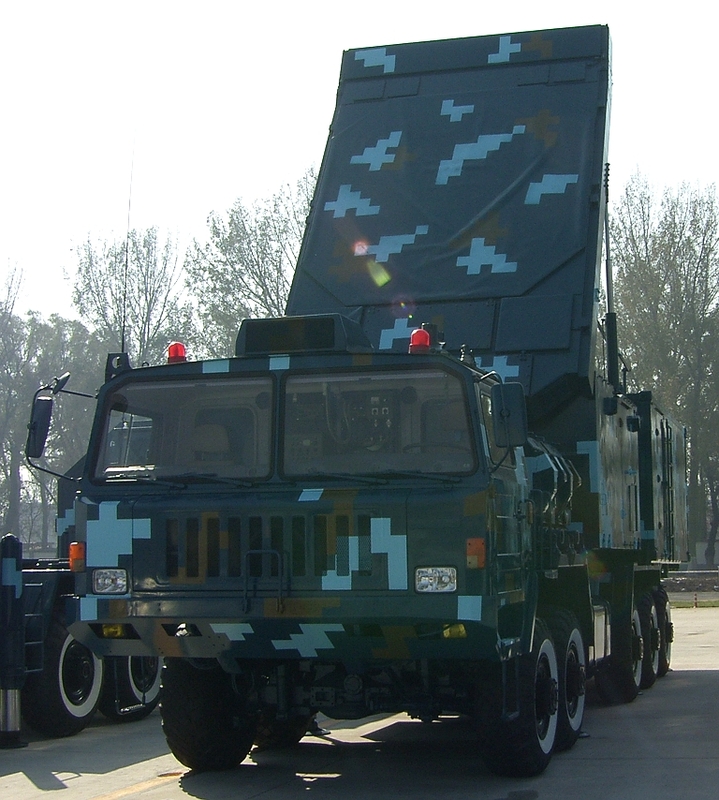 Chinese sources claim a high resistance to jamming, which is credible given the phased array design technique used. The alternative engagement radar offered is the fully mobile SJ-231 phased array. Candidate acquisition radars for KS-1A batteries include the JY-11/JY-11B, YLC-18 and the JYL-1. The HQ-12 is clearly a credible modern SAM system, and like the J-10 fighter, illustrates China's technological capability to compete in the design of modern weapons. HQ-12 TEL in new “pixelated” disruptive camouflage pattern (Chinese internet). 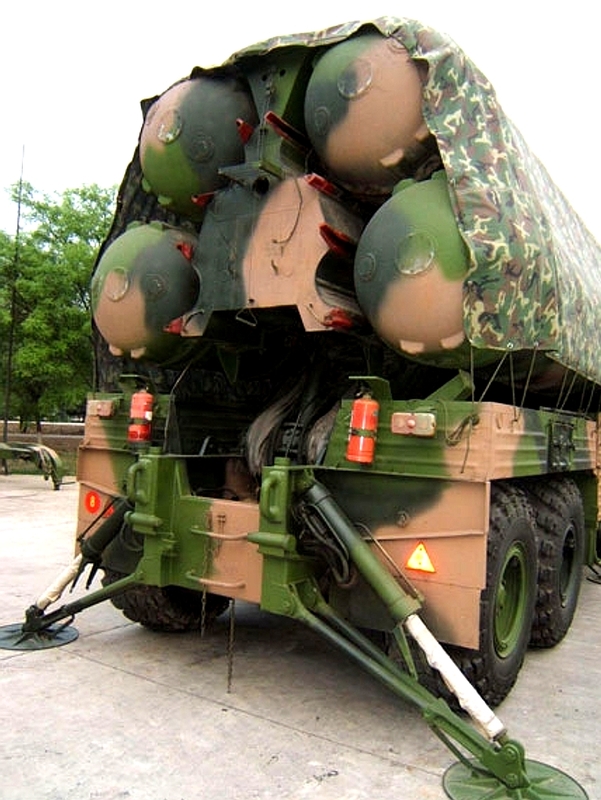 Detail of KS-1A launcher (image © 2009, Zhenguan Studio). An alternate TEL arrangement uses elevating box launchers each containing one KS-1A round. The status of this variant has not been disclosed to date. The SJ-231 is an alternate radar for the KS-1A/HQ-12 SAM system, based on the HT-233 PESA antenna and cabin design. Cited performance is virtually identical to the H-200. Unlike the towed H-200, the SJ-231 is self propelled, but unlike the HT-233 it is split across a pair of 6 x 6 or 8 x 8 vehicles. SJ-202 Gin Sling A. This radar is associated with the HQ-2 and early variants of the KS-1, and is a derivative of the SNR-75 Fan Song series. Early model cloned Soviet S-75 on display at Datangshan (Zhenguan Studio, © 2010 Air Power Australia). 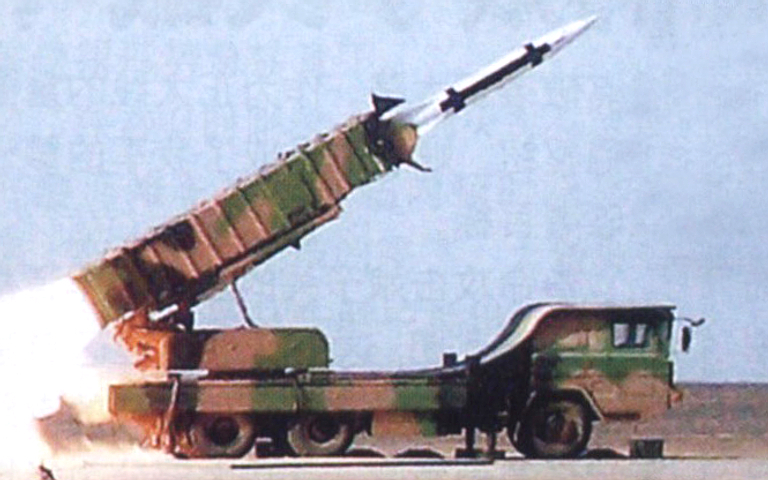 The Chinese built derivatives of the Soviet SA-2 Guideline were, until the arrival of the SA-10/20, the numerically most important SAM system in PLA service. Current official US estimates put the remaining inventory at more than 60 batteries, for a total of about 400 single rail launchers. 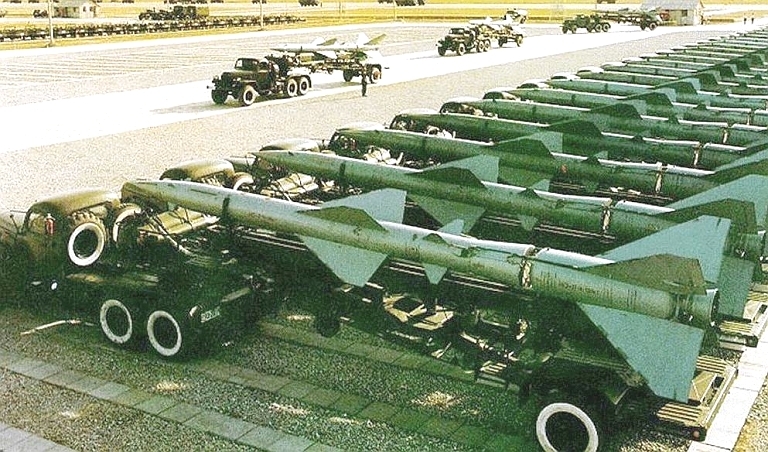 When the PRC split with the Soviets during the Krushchev era, early variants of the S-75 were the only then modern weapons China possessed, with a mere 6 batteries in service. These comprised the standard static road transportable semi-mobile rail launchers, the S-band Fan Song engagement radars, and the VHF band P-12 Spoon Rest acquisition radars. China's 5th Research Academy of the Ministry of Defence subsequently reverse engineered this hardware and started the manufacture of the HQ-1 (Hong Qi-1) , a cloned S-75 system. By 1966 an improved HQ-1, the HQ-2 was introduced, with incremental upgrades to the HQ-2A during the 1970s, and HQ-2B during the 1980s, the final variant being the HQ-2J. Two engagement radars are associated with the HQ-2, both derivatives of the SNR-75 Fan Song series. These are the SJ-202 Gin Sling A and the 2FA(B) Gin Sling B. 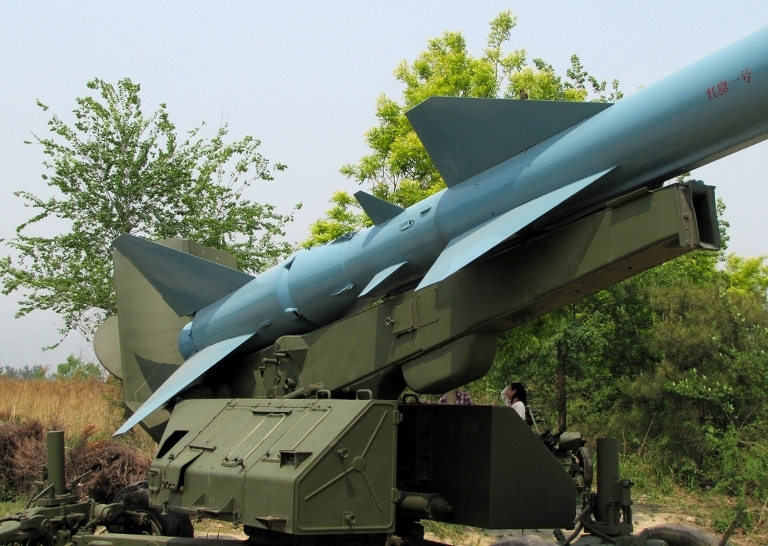 Progressive design improvements included a better liquid rocket motor, more G capability, better warhead, digital command link for guidance with crypto capability, a monopulse engagement radar capability for jam resistant angle tracking, and electro-optical angle tracking. The stated long term intent is to replace the HQ-2 with the indigenous HQ-12/KS-1A SAM, as a second tier supplement to the Russian S-300PMU series. There is some evidence which suggests that hybridisation of legacy HQ-2 batteries with new generation H-200 PESA engagement radars may have occured. This remains to be validated by official disclosures or more detailed technical evidence. Above deployed HQ-2A battery, with the reverse engineered SM-90 launchers and PR-11AM transporter/transloader. Below a HQ-2A battery on display. Fuelling a HQ-2 round with the toxic and corrosive AK-20K/TG02 propellant mix. Protective gear is required for personnel. 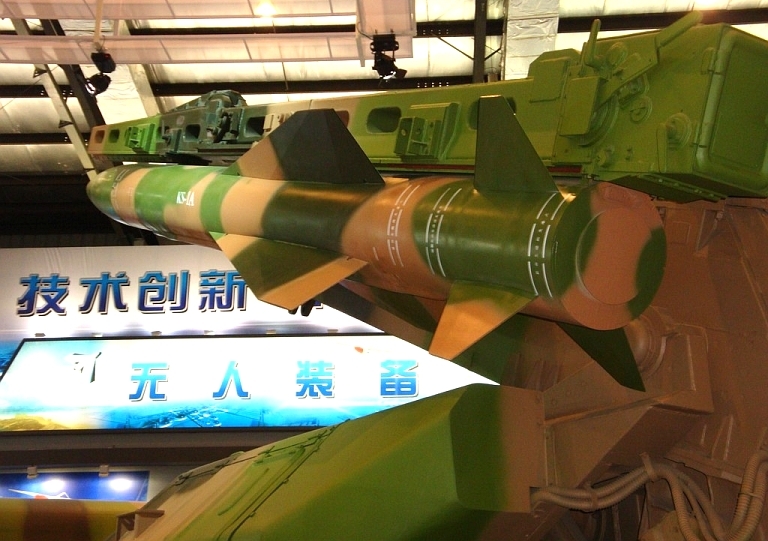 The WXZ204 tracked launcher was developed for the HQ-2B Surface-To-Air Missile. 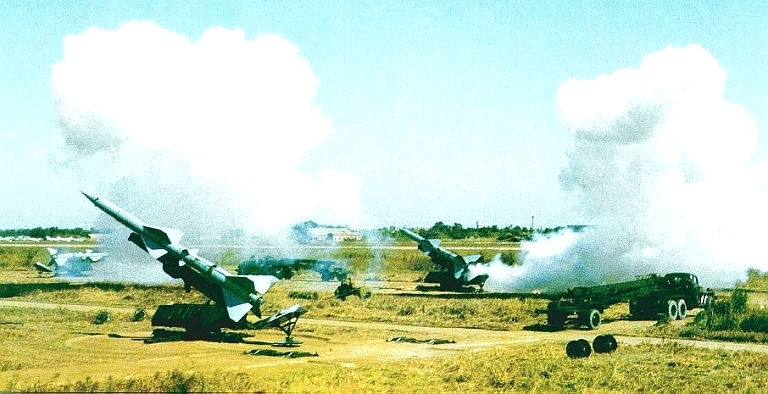 During the 1979 Sino-Vietnamese War, Chinese troops would not advance beyond air defence coverage envelope afforded by their fixed HQ-1/HQ-2 SAM belt inside China. 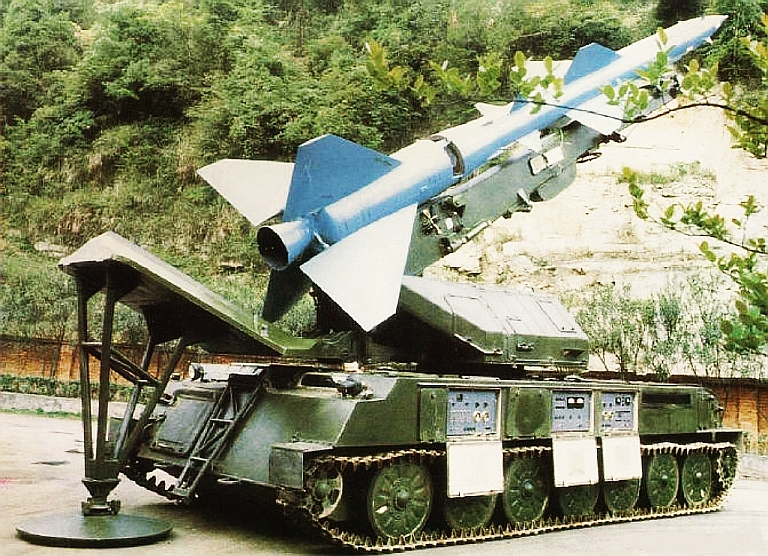 To alleviate this problem by increasing SAM coverage for PLA forces operating on China’s periphery, development was started in 1980 of a tracked launcher for the HQ-2 SAM, based on the Chinese clone of the Soviet SM-90 sem-mobile launcher. 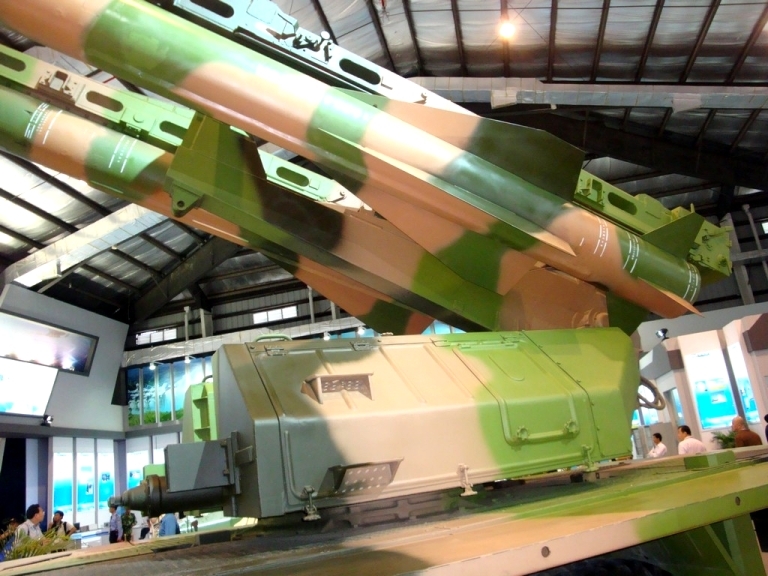 It was designed to operate in the rear of the army, and if it had been available during the 1979 Sino-Vietnamese War, would have been integrated into the Chinese air defence system utilising Fan Song or Gin Sling engagement radars deployed inside China. The vehicle used a lengthened Type 63 amphibious tank chassis with an additional road wheel providing a total of fourteen. With the missile loaded it weighs 26 tonnes, with the missile weighing approximately 2,200kg. Two prototypes were built, but it does not appear as yet to have entered production. The weapons system’s overall length when travelling was 13.235 m including missile, 3.2m wide and 4.5m high. The hull height was 1.57m. The diesel engine produced 293 kW and a torque of 70.8 kN, and gave the vehicle a maximum road speed of 42.9 km/hr and a maximum road range of 250km. The low top speed and range suggest that the engine was taxed moving the vehicle. 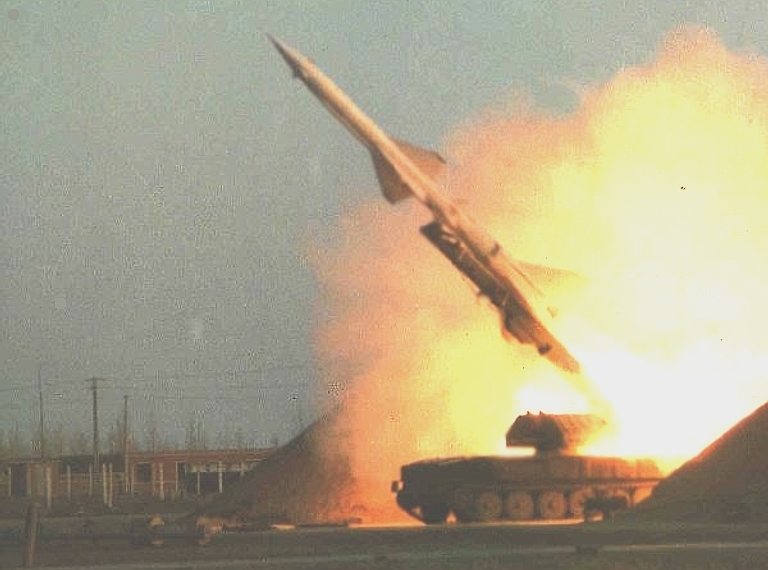 The missile was mounted on its SM-90 derived static launcher, which was modified for fitting on the vehicle hull. It was able to traverse through 3600 , although it would normally be fired facing the vehicle front as the huge folding stabiliser at the rear of the hull acted as a flame and heat deflector. Two large cable reels contained the fire control cables which were attached to relevant air defence equipment. It was not capable of firing at an aircraft independently and a battery of these with its attendant radars, generators and control vehicles would occupy a considerable piece of land. On the move, the missile would be vulnerable to damage, both due to enemy fire and accidental. As the HQ-2 uses the toxic AK-20K (or IRFNA - Inhibited Red Fuming Nitric Acid) mélange oxidiser, any leak is catastrophic to any vehicle or person that is exposed to its highly corrosive properties. Moreover, the TG02 / samin fuel will spontaneously ignite when in contact with the oxidiser. No unit or vehicle commander and crew would like to be carrying one in the event of enemy action. 2FA(B) Gin Sling B engagement radar. SJ-202 Gin Sling A engagement radar. There is some evidence which suggests that hybridisation of legacy HQ-2 batteries with new generation H-200 PESA engagement radars may have occurred. This would significantly increase jam resistance of the battery and permit more concurrent missile engagements. The RWE-1 is a radio-frequency band active MAWS intended to protect SAM batteries from attack by anti-radiation missiles such as the AGM-88 HARM/AARGM series. It is employed to trigger emitter shutdown and activation of active emitting decoys. The manufacturer's brochure claims a detection range of 40 km / 21.6 NMI. PLA 5P85TE TELs deployed in revetments. The last of the S-300P derivatives to carry the S-300P designation, the S-300PMU-2 Favorit adds further capabilities. 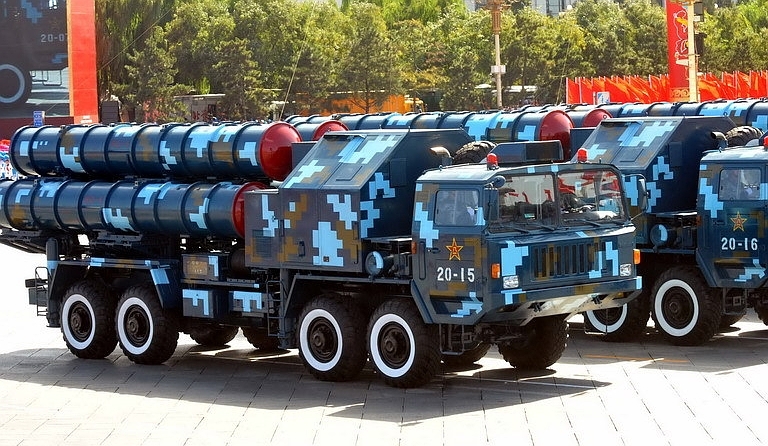 According to the US DoD, the PLA has deployed 32 launchers for a total of 4 to 8 batteries. 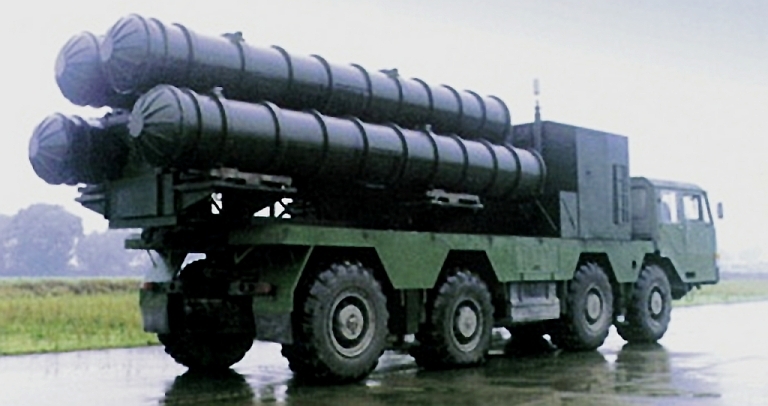 The Favorit is an incrementally enhanced S-300PMU-1, encompassing the 30N6E2 Flap Lid, 64N6E2 Big Bird, 54K6E2 command post, and providing interfaces and software to control legacy missile batteries, such as the S-200VE/SA-5 Gammon. It is intended to compete directly against the Antey S-300V Giant and Patriot PAC-2/3 systems as an Anti-Ballistic Missile system. The new LEMZ 96L6E search radar is available as an option with the Favorit. With the S-300PMU-1 and PMU-2 the PLA gains enough range to be able to threaten aircraft over Taiwan if the missile batteries are deployed along the coastline. 5P85TE TEL prior to elevating its launch tubes. Below 5P58TE TELs on parade. 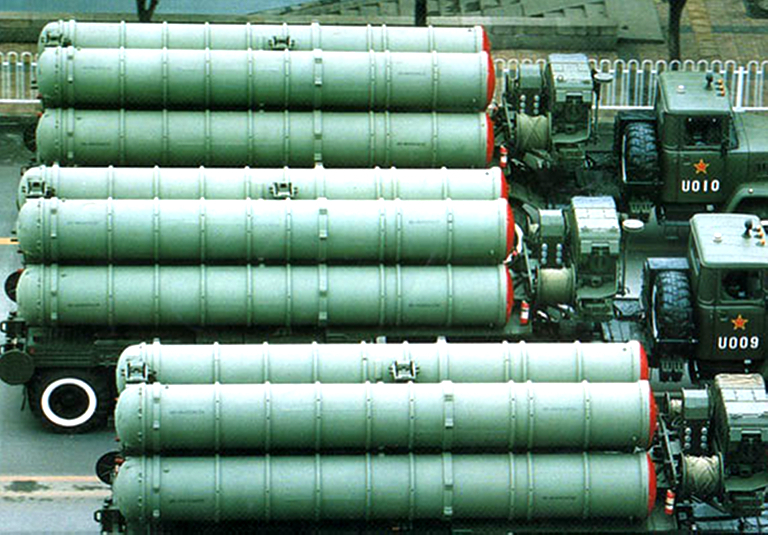 Initially designated the SA-10D Grumble, and later redesignated the SA-20 Gargoyle, the S-300PMU-1 was a “deep modernisation” of the S-300PS/PMU system. The US DoD puts the current PLA inventory at 64 launchers, for a total of 8 to 16 batteries. While the S-300PMU-1 retained improved Flap Lid, Clam Shell, and 5P58TE/DE TELs, it introduced two major new improvements, intended to match or outperform the Patriot PAC-1 and PAC-2 configurations. The first was a new missile design, the 80 nautical mile range 48N6, with a seeker capable of engaging 0.02 square metre targets. 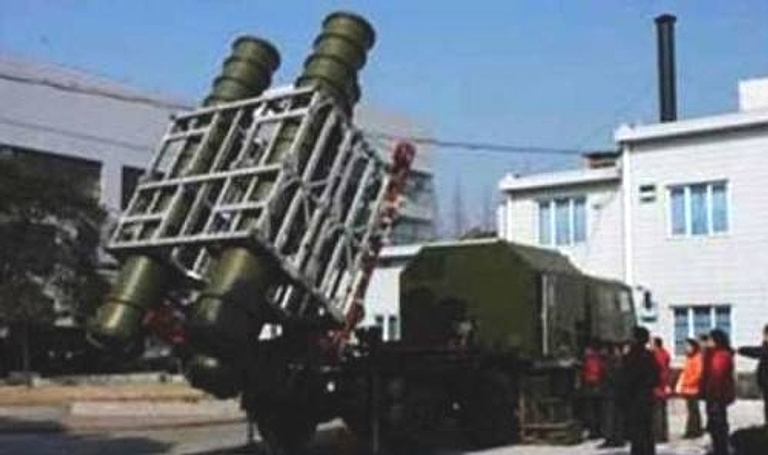 Until recently the S-300PMU-1 was the most lethal SAM system the PLA deployed, but it has been now supplemented with the more effective S-300PMU-2. S-300PMU/PMU1 5P85SU TEL of the PLA stowed and deploying. Early model TELs used an arrangement with a 'smart' TEL each controlling a pair of 'dumb' TELs. In more recent configurations all TELs are 'smart' and autonomous (Chinese internet images). 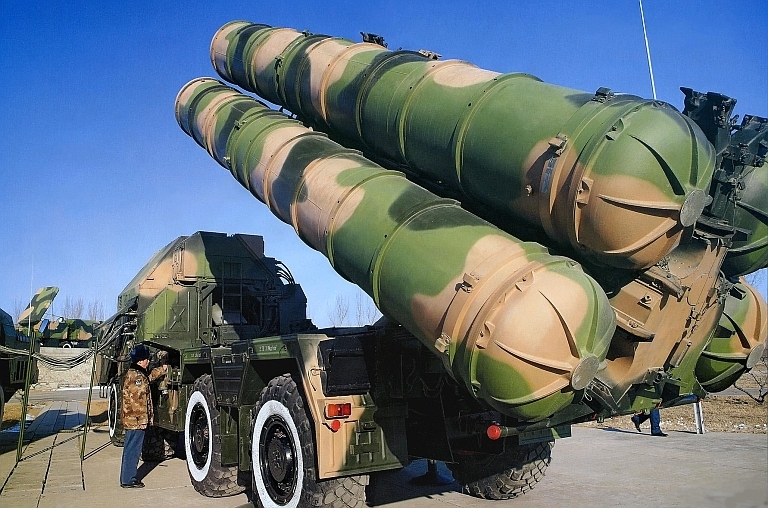 The S-300PMU was the first of the S-300 family of missiles to be procured by the PLA, and the US DoD puts current launcher numbers at 32, making for 4 to 8 deployable missile batteries. 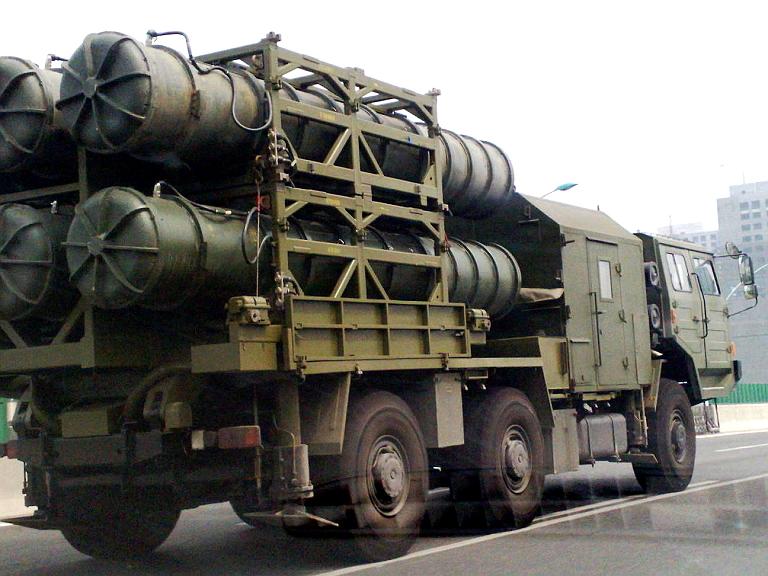 This system is the export configuration of the high mobility Soviet S-300PM (P- PVO, M - Modified) system, a deep upgrade based on the self-propelled S-300PS / SA-10B Grumble, itself successor to the Patriot-like semi-mobile S-300PT. This subtype is designated as an SA-10C in the literature. The S-300PMU best compares to earlier variants of the US Patriot system, but with the important difference that the S-300PMU is highly mobile, with all key battery elements carried on MAZ-7900/543 variant 8x8 vehicles, common to the Scud TEL. The S-300PS/PM/PMU was the first true “shoot and scoot” SAM system to be deployed, specifically built to evade the F-4G Wild Weasel. 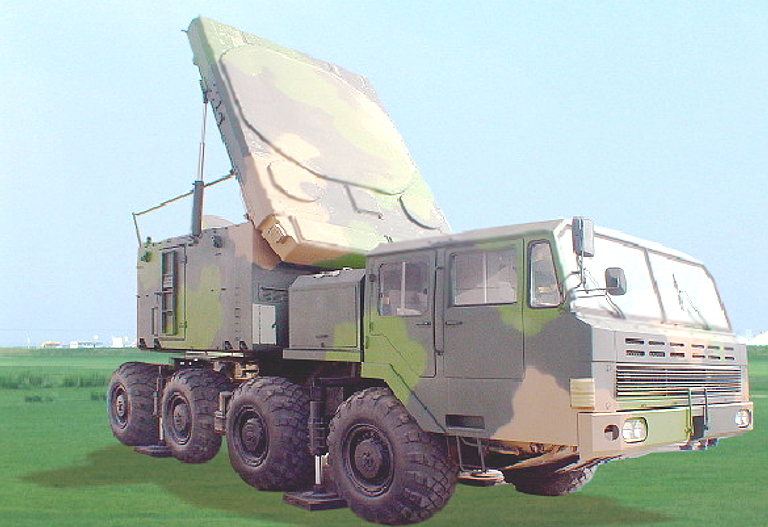 When the export variant was defined, a towed semitrailer TEL was introduced, the 5P85T with a KrAZ-260B tractor, self-contained electrical power supply and masted radio datalink for remote launch control of TELs. Excluding mast mounted components, the battery could deploy or stow itself in 5 minutes or less. The command link guided missiles in the S-300PT were supplanted by TVM guided extended 50 nautical mile range 5V55KD and 5V55R rounds. With all altitude coverage the S-300PS/PMU was a formidable system, capable of threatening the full gamut of conventional combat aircraft, and providing the impetus for the development of the F-117A and B-2A stealth aircraft. Excerpted from “How the PLA Fights: Weapons and Tactics of the People’s Liberation Army” published by the United States Army’s Training and Doctrine Command. Additions and updates by Dr Carlo Kopp. ‘Shui wan changgong fa tienlang ___ Zhongguo yanzhi WXZ204 ludai shi hog qi er haoyi dikong daodan jidong’, Tanke zhuangjia cheliangi, 2008 Niandi, 6 Qi, Zhongdi 266, pp. 5 – 9.